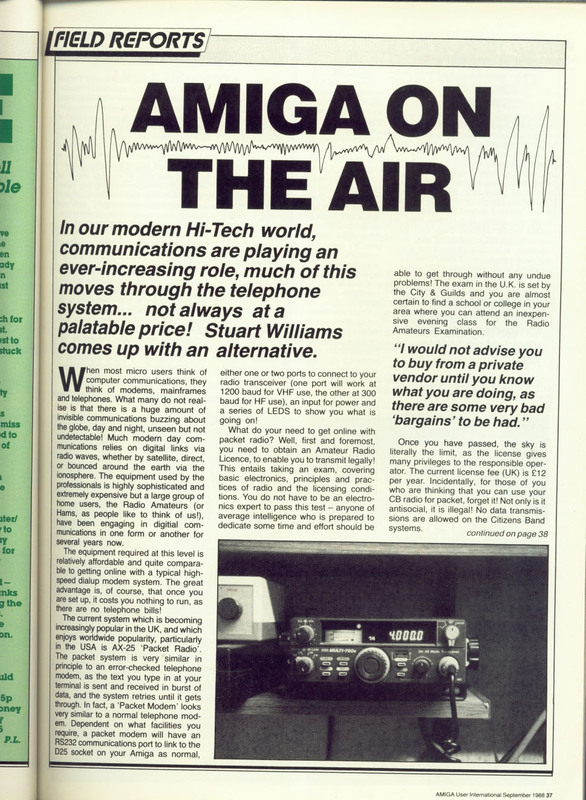 My first amateur radio ‘field report’ for Amiga User International, published in September 1988, was primarily about the use of the Amiga with AX-25 ‘packet radio’ – a relatively new aspect of the hobby at the time, primarily used on the VHF bands. Packet radio is basically the ancestor of data transmission on your mobile phone, only it wasn’t so portable in the 1980s, and it was much slower! Then, you had to be a licensed amateur radio operator, or a professional, to use it. Click on the preview images below to get the full page image. 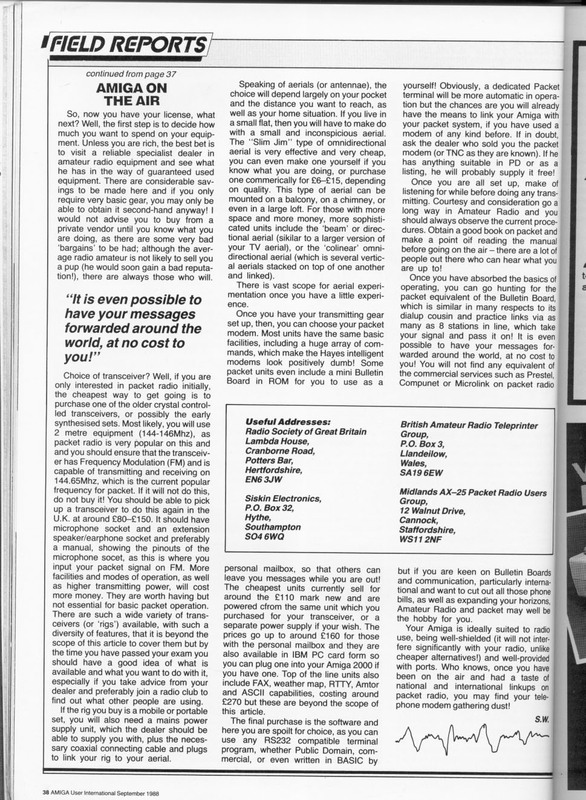 Click on the drop-down menu above to read individual articles, then click on the preview images to get the full page image.